Google has launched a brand new IDE (integrated development environment) for building Android apps at today's Google I/O keynote presentation. Android Studio is based on the community edition of IntelliJ, and includes a number of unique tools designed to make the development and previewing process more easy. Among these are the ability to preview strings in code as if they were hard-coded, see colors based on color codes and even preview layouts on different device sizes -- everything from a 3.7-inch phone to a 10-inch tablet. It's even possible to preview different languages and see if everything will fit right with overflowing. 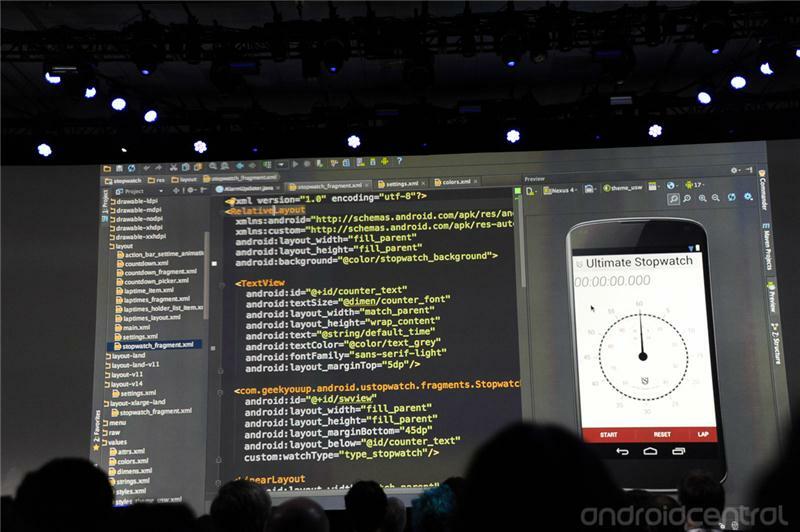 The developers in the room seemed really excited about the new previewing capabilities of Android Studio, and we're sure this will be hugely useful to both seasoned devs and newcomers. Keep watching our live coverage of the I/O keynote for more news from the show.